Or see below for details of where to purchase our products on-line. Need to order products in between cleaning appointments? and of course, you can order on-line too! Just click on the logo below to be directed straight to the Chem-Dry Product ordering page. As effective on carpets and rugs and is it on upholstery fabrics. The Chem-Dry carbonated formula in our cans of Stain Extinguisher makes it the ideal product to deal with food spills including ketchup, syrups, chocolate and more. It won’t leave behind any of those pesky dirt-attracting residues either, that can make stains reappear, so once they’re gone – they’re really gone!! Also good to know is that Chem-Dry Stain Extinguisher doesn’t contain harsh solvents that can damage your carpet, so you can see why this is such a popular all-round superstar product! 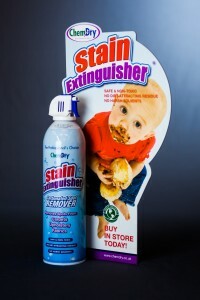 Professional strength Spot Remover is 33% stonger than Stain Extinguisher. 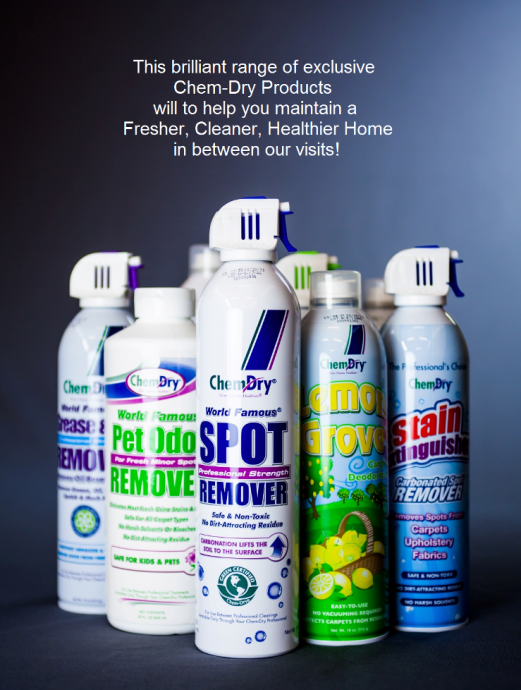 Our customers LOVE the fact that Chem-Dry’s World Famous Spot Remover can also be used as a pre-wash spotter (works like a dream on grass stained cricket whites!) and can also be effective against light oil-based stains. The powerful carbonating solution works deep into fibres and fabrics to lift soiling to the surface, for effective removal. 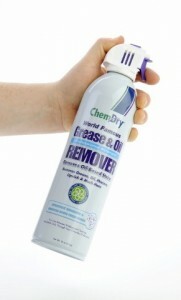 using the World Famous Chem-Dry Spot Remover, click on the picture above. 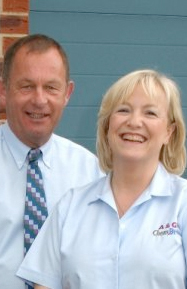 A large can of this fabulous product is included with our Gold – Clean and Protect Carpet Cleaning Service. 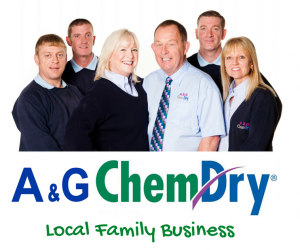 To find out why our Chem-Dry Spot Remover is World Famous, click here ….. Imagine the fragrance of a Tuscan Lemon Grove on a warm Spring morning and you’ll be conjuring up the zesty fresh aroma of this extremely popular product. No dusty, gritty powders to try and vacuum up! 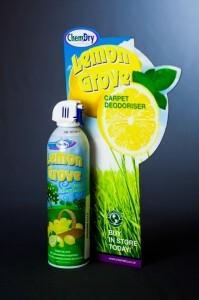 Just spray a little Lemon Grove onto your carpet and enjoy a burst of delicious lemony freshness in your home. Lemon Grove is perfect for homes with pets! From wax crayons to mayonnaise, this brilliant product tackles oily and greasy carpet marks on your carpets around the home!